BOLINGBROOK, IL (March 27, 2018) - Mowers Direct has just revealed their acclaimed lists of the Best Lawn Mowers of 2018. Mowers Direct helps make shopping for the perfect lawn mower easy. The site, MowersDirect.com, currently lists more than 400 mower models and publishes over 16,500 lawn mower reviews from actual customers and continues to grow every day. Using a proprietary algorithm, Mowers Direct assigns precise letter grades to all of the lawn mowers on the site, providing savvy online shoppers with real-time analysis of the highest-rated mowers on the market today. People have different ideas about what it means to be considered "the best." 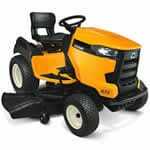 MowersDirect.com publishes three separate lists for each type of mower. Site visitors can sort mowers according to how a product sells (best-selling), how consumers review a product (top-rated), or models that experts recommend based on testing and consistent customer feedback. The power equipment e-tailer features separate lists for each type of lawn mower, ranging from small electric mowers to commercial-grade zero turn mowers. Most "best-seller" lists on the internet are updated only once a year at most, showcasing discontinued mowers. Mowers Direct's rankings, however, are updated in real time, so customers will always see a current list of what's popular in 2018. “It's always updated--continuously," Castellanos said. "You won't see anything that's dated on our website. These are all real-time results based on customer feedback and reviews." Castellanos, who receives specialized manufacturer training on mowers, calls the lists "an impressive aggregation of information from consumers and experts." MowersDirect.com doesn’t require you to sign-up for a membership or subscription. The company's goal is to educate shoppers with free information, to help them pick the perfect lawn mower specific to yard size and lawn type. "Our website is the only stop you have to make," Castellanos continued. "When you visit our site and see these lists, you'll encounter all the information you need to make a wise purchasing decision." Mowers Direct announces the md announces best mowers of 2018 and the best mowers of 2018. The product experts chose the md announces best mower of 2018 based on sales history and customer reviews. Read recommendations on the top mowers of 2018 from the experts who work with them every day.